Personally, I love ginger! Especially ginger tea but I love ginger in baked goods and meals too. Ginger is grown as a root and is a flexible ingredient that can be consumed in drinks (tea , beer, ale) or in cooking. It can be used to make foods spicy and even as a food preservative. For over 2000 years, Chinese medicine has recommended the use of ginger to help cure and prevent several health problems. It is known to promote energy circulation in the body and increase our body’s metabolic rate . Here ‘s a list of some of the amazing benefits of ginger that you may not aware of. Although some of these are still being debated, you could do your own research if you want to use ginger for medicinal purposes. Maintains Normal Blood Circulation. Ginger contains chromium, magnesium and zinc which can help to improve blood flow, as well as help prevent chills, fever, and excessive sweat. Remedies Motion Sickness. 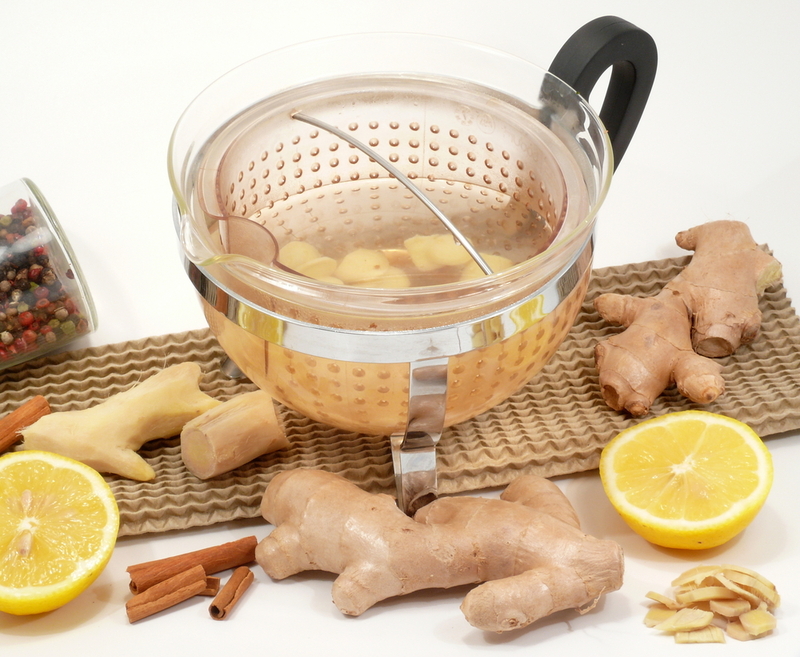 Ginger is a known effective remedy for the nausea associated with motion sickness. The exact reason is unknown,but in a study of naval cadets, those given ginger powder suffered less. Colon Cancer Prevention. A study at the University of Minnesotafound that ginger may slow the growth of colorectal cancer cells. Reduce Pain and Inflammation. Ginger contains some of the most potent anti-inflammatory fighting substances known and is a natural powerful painkiller. Fights Common Respiratory Problems. If you’re suffering from common respiratory diseases such as a cough, ginger aids in expanding your lungs and loosening up phlegm because it is a natural expectorant that breaks down and removes mucus.. That way you can quickly recover from difficulty in breathing. Ovarian Cancer Treatment. Ginger powder induces cell death in ovarian cancer cells. Strengthens Immunity. Ginger helps improve the immune system. Consuming a little bit ginger a day can help foil potential risk of a stroke by inhibiting fatty deposits from the arteries. It also decreases bacterial infections in the stomach, and helps battle a bad cough and throat irritation. Combats Morning Sickness. Ginger has demonstrated a success rate of 75 percent in curing morning sickness and stomach flu. But with all these benefits, and with it so readily available, it’s really something we shouldn’t even try to avoid. In fact you could even mix it up with other ingredients such as Green Tea. Get informed. Do the research. Take control of your health! More products: www.OrganicSolutions1.com = (IBO# 9630671) detox parasites with organic iaso tea, you’re gonna love it and you will find yourself talking about,… www.teamngd.com watch the 1st video and keep in mind as you watch, “Who do you know that wants to lose 5 lbs in 5 days? & “Who do you know that wants to get paid while losing weight and the more weight you lose the more money you will make? Because results sell! Please ‘Like’ me FB: http://www.facebook.com/resonatinghealthkathrynmancarella = plz like me! Please ‘Like’ the page: https://www.facebook.com/organicsolutions1 = plz like it! Categories: absorption, anti inflammatory, blood circulation, cold, cold prevention, flu, flu prevention, helps morning sickness, motion sickness, ovarian cancer treatment, prevent colon cancer, reduce pain, respiratory problems, strengthens immunity, upset stomach | Permalink.